Take control of your real estate business. Monitor your general information spanning property specifications (prices, virtual maps) and accounting details (transactions). Monitor all your projects in one page. Includes exclusive sub-modules that are ahead of its competition. Allow your clients to monitor their property's status online. Get their prompt submission of pending requirements via our Client Portal. This module contains list of suppliers and requests made to each suppliers for easy tracking of delivery to receipt issuance. Depicts the overall progress of each property according to project schedule. Use the mobility of tablets to monitor site developments. Contains organized accounts of Assets. Liabilities and Owners, Income and Expenses, Issue receipts and store payment history via email. Provide building administrators access to Rental Inventory, Utility Computation, Billing and Collection. Monitor your general information spanning property specifications (prices, virtual maps) and accounting details (transactions) through SMS. 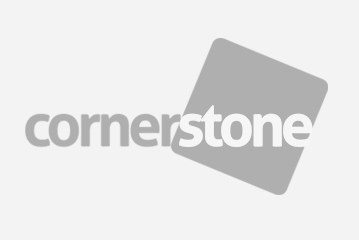 "Cornerstone makes staying on top of my portfolio so easy. I just upload a new lease and they take care of everything else." "Cornerstone allows us to manage all our lease data without missing any critical dates." We provide valuable resources on a regular basis to help you succeed in your real eastate business. For real estate developers that has developed and constructed various real estate projects whether it’s a horizontal or vertical project, there is a common problem that all of them are facing that is really calling out for a solution which is real estate property management. Companies may not have figured out sooner the essential of having a streamlined system that would enable them to be more effective and efficient with the whole process involved in their business but with the drastic changes happening in the market they’ve been able to understand the benefits that they could get out of it in order to be more productive and make a difference in the approach that they are using to cope up in the real estate industry. As technology continues to innovate, being able to cope up with it is a must for the company if you want to outstand your competition in the market. With the constant changes in technology introduced in a fast pace, clients have a tendency to lean on to a company that offers a more sophisticated technology that would resolve whatever problems they are encountering today. So if you can meet the needs of the company through your advance technology, then that would probably give you the edge over your competition. Some companies mistakenly thinks that engaging to a new system might be an additional cost for the company well in fact, in it really saves you money. By integrating each department into the software, you actually make the work implicit for everyone that saves time, effort and minimizes errors that makes the team productive and competent. Every industry is associated with stress and is also frantic. With all the works that is needed to be monitored, data to be filtered, calls to be answered, emailed to be replied to, books that are needed to be updated, materials to be purchased and properties to be manage, this all could get out of hand if the company struggles in incorporating those things to be unified. For the company to rationalize things in the company, they have stay as well-coordinated as possible. When a company fully adapts to the technology, it is a big relief for everyone involve because it’ll help them to properly maximize their respective time. They could now allot time for things that could be helpful in the production and not be stagnant onto what could be done by the use of the software. No more manual efforts and decrease wasting valuable time. With the correct software, everyone could step up and contribute to the company’s goals.